For years before its release, I had been following OverClocked ReMix’s Chrono Symphonic, an album devoted to the music of the SNES game Chrono Trigger. While many of OverClocked’s later albums failed to live up to their promise, Chrono Symphonic did not disappoint me. Like their other albums, the album is designed to tell a story — in this case a movie script penned by the project’s coordinator, Claado Shou, before the project began. 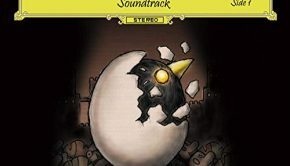 Themany contributors to this album, far from causing it to deteriorate into a disorganized mess, complement each other’s strengths and weaknesses and pull together a collection whose quality exceeds that of a large number of official game music soundtracks. 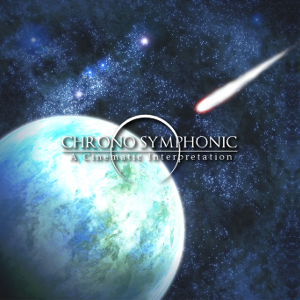 Chrono Symphonic was created between October 2004 and January 2006. Maintaining order with the huge ensemble of artists who contributed to this album must have been a daunting task, and it would have been easy for the album to have become stuck in “development hell”. Remember, between the time this album project was started and it was completed, George Bush was re-elected, Pope John Paul II died, and Hurricane Katrina ravaged New Orleans,, and it was only September! 15 months is a long time to keep people focused on a single goal even if they are being paid, which the contributors to this album were not. Yet, more amazingly than the coordinators’ keeping the project team together is how the album maintains a consistent sound throughout. Even though most artists contributed only one or two tracks, I never found myself jarred out of the serene world I had entered when I started listening. This album stays true to the game upon which it is based, and does not force unnatural genre changes on the listener. I wish that the SNES hardware would have been able to replace the original music with these tracks, because many are superior to the original arrangements. Perhaps the first noteworthy track is “To Lands Unknown”. Originating from the theme of Magus’s Castle, this short tune is transformed from the limited SNES-synthesized original into a fully orchestrated piece. Those who played Chrono Trigger when it was originally released in 1995 will be shocked into realizing just how much the SNES hardware limited Yasunori Mitsuda, the series’ main composer, from realizing the full potential of his ideas. There are so many remixes on the Internet that it’s easy to forget just how basic the original music sounded. Other noteworthy tracks include “Frog’s Intervention”, which retains just a small part of the original, and “A Parting of Ways”, which immediately captures the listener’s attention through the use of diminished chords that are uncommon in popular music. After this introduction, the track continues with an upbeat march that morphs into the familiar “Frog’s Theme”, which alternates with sections of new material. Even though the original theme consists of just ten notes (Mitsuda himself claimed in an interview to be a student of minimalism), the listenener never becomes bored because the added material keeps things fresh between segments. Just when I thought the album was excellent enough as it was, however, Jillian Goldin (pixietracks) appears in “Schala and the Queen” and “To Far Away Times,” providing her crystal clear vocals. 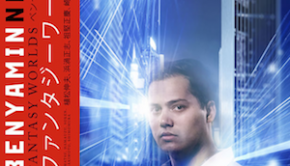 After the release of Chrono Symphonic, Goldin would go on to be featured in 2k Games’ Civilization IV: Beyond the Sword. What makes Goldin’s voice work is that she doesn’t try to kill songs with excessive vibrato or insanely high-pitched notes, perhaps because her voice is good enough that she needs not compensate with such tricks. She definitely knows when to stand out and when to fade so that the instrumentals take the lead. Game companies would be well-served to retain her on their staff for upcoming titles. If there is any weakness to be seen in Chrono Symphonic, it is perhaps that the album doesn’t really get going until about the eighth or ninth track. Some of the earlier tracks, while nice, won’t have you repeating them over and over again. Beginning with track nine, however, they’re almost all winners. Perhaps some didn’t have the motivation to stick with the album to that point and that’s why there was some negative feedback. It is worth noting that this album was published in early 2006, but this review was written in late 2009, almost four years later. I rated this album according to how I perceived it at the time of this writing. Had I scored the album in 2006, I would have added an additional point to rate it a 9 out of 10, because sequencing has advanced a great deal during the intervening years and the samples in some of the arrangements sound quite dated. 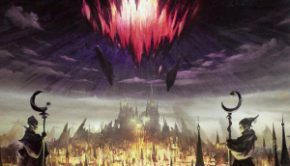 Listeners who experience the album for the first time when this review is published will likely notice a difference between the sample quality in Chrono Symphonic and in OverClocked ReMix’s later works, such as Final Fantasy IV-Echoes of Betrayal, Light of Redemption-. It would be interesting to see a future remastering of this album with live performances or improved samples. What makes Chrono Symphonic all the more interesting is that everything was produced by people who are still in college or even high school. A quick glance at the list of remixers that were interviewed reveals that some of the artists were, at the time of production, as young as 16, and all but one would have been unable to drink in the United States at the time. If these people were able to produce such quality music when they were still in or barely out of high school, they will surely be a force to be reckoned within the game music community and possibly industry in the 2010s. Chrono Symphonic is one of OverClocked ReMix’s best albums. It avoids the disorganization of many of Overclocked ReMix’s other albums, and features solid arrangement and production. 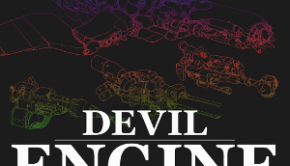 Although things take a while to get started, and technological advancement has not been kind to some of the tracks, everyone reading this review would be well-served to download this free offering.